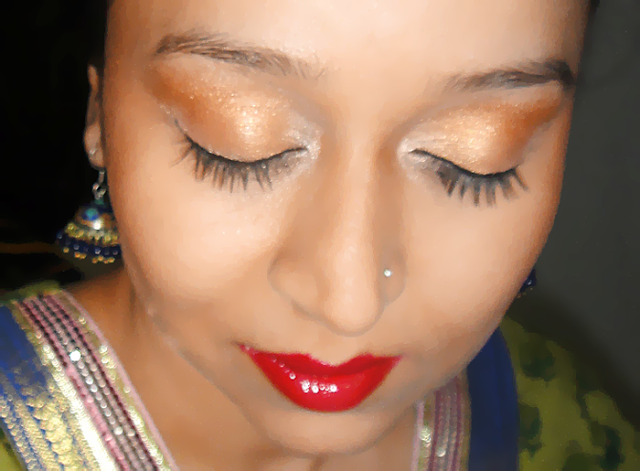 Indian Beauty Blog | Fashion | Lifestyle | Makeup | SparkleWithSurabhi : MAC Shop MAC Cook - Call Me Bubbles Quad Dupes! MAC Shop MAC Cook - Call Me Bubbles Quad Dupes! 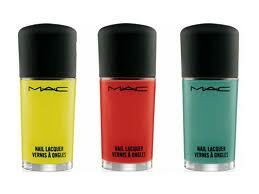 MAC Shop Shop Shop Cook Cook Cook Collection was launched in U.S. this month as the spring collection of 2012. The entire collection is very beautiful and bright offcourse inspired by nature as spring is the season of colours and blooming time for bright beautiful flowers! Call Me Bubble - Light tan or shimmery beige. Fresh Daily - A medium orange frost. Brash - A frosty reddish copper. Full of Flavour - Coral (Matte). MAC Call Me Bubbles Quad. 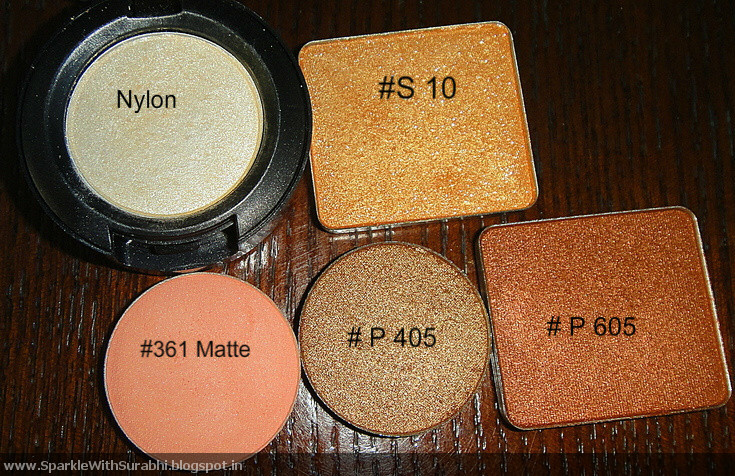 Swatches from Allura Beauty.com - thank you these swatches helped me to find a perfect dupe! Call Me Bubbles - Inglot #P 395 which is shimmery light beige can be used but I used nylon instead. 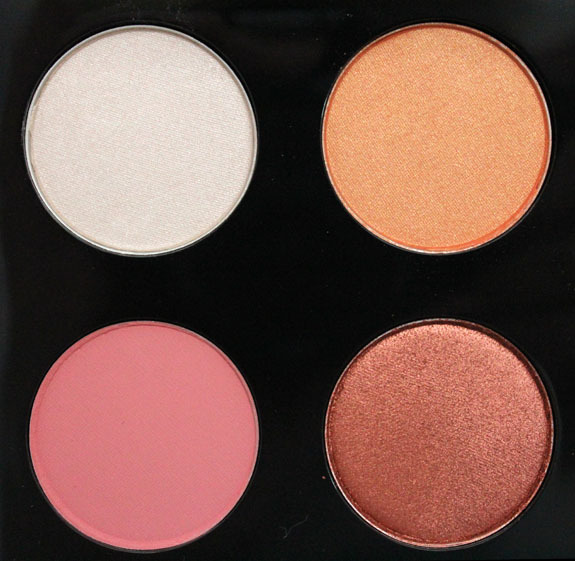 Fresh Daily - Inglot #AMC Shine 10 is medium orange with frosty shine or #383 Matte medium orange can be also used. 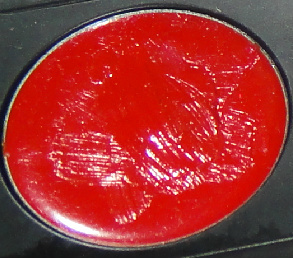 New Update May5th :- Inglot #AMC Shine 15 is a 100% dupe. 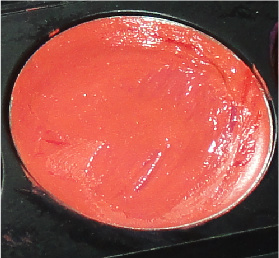 Full of Flavour - Inglot #361 Matte is a coral matte colour or a light hand of #366 Matte will also work. 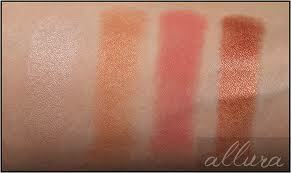 Nyx Orange/Golden Orange/Peach Trio Can be also used as a dupe. 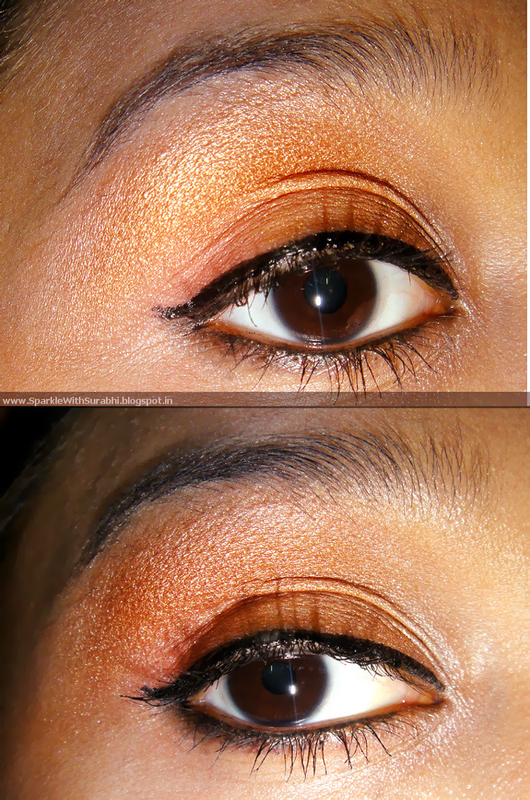 Orange is a medium matte orange like Mac rule without any frost can be used instead of fresh daily. I am wearing Inglot Dupes on my eyes for call me bubbles quad and Inglot freedom system lipstick #56 in the day which is coral pink and #27 in the evening which is dark red - maroon colour. I am sure you must have found this small dupe list pretty helpful. These dupes will help you save your money and still look beautiful this spring! FOTD - Just In Time for Valentine's ! Time Machine: MAC Mickey Contractor Dupes! 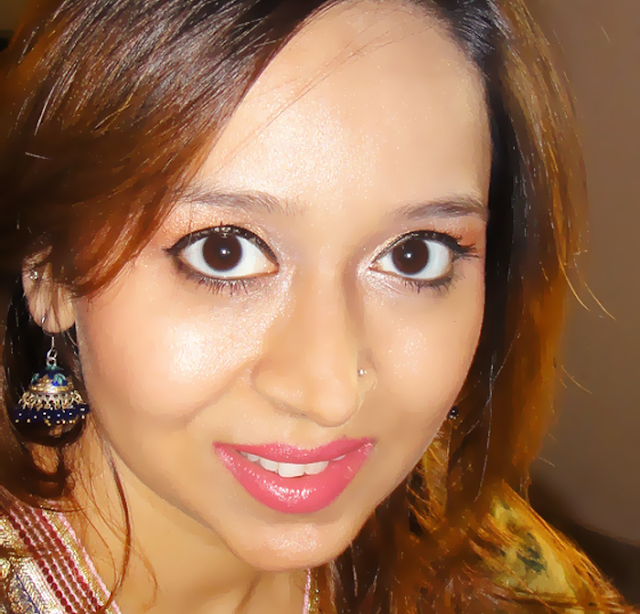 MAC Saffron Dupe Inglot #DS464, Rang De Basanti! 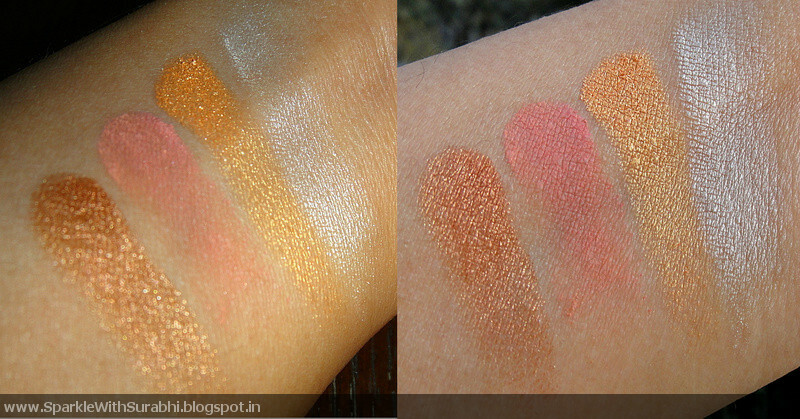 The New Naked Pallete *2011* Swatches and Dupes!